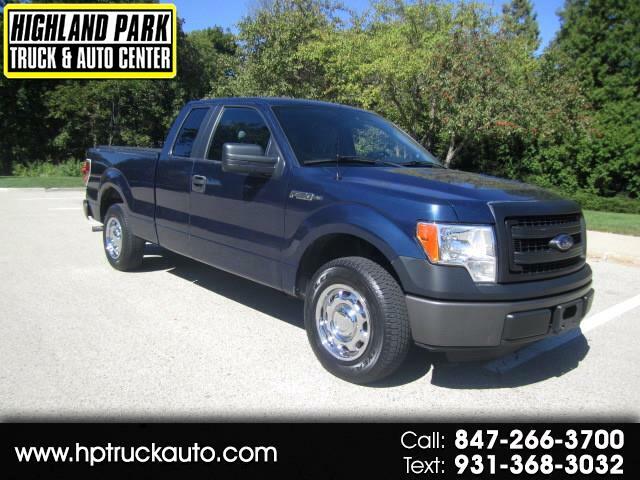 A PERFECT RUNNING 2013 FORD F-150 EXTENDED CAB PICKUP TRUCK!! NO HASSLE SALE PRICE OF $7500!! THIS IS THE BEST PRICE- TRUCK RUNS AND DRIVES PERFECT!!! THE ECONOMICAL 3.7L V6 RUNS GREAT!!! AUTOMATIC TRANSMISSION SHIFTS AS IT SHOULD. TRUCK DRIVES NICE TIGHT AND STRAIGHT. ALL POWER OPTIONS FOR YOUR DRIVING COMFORT. ICE COLD A/C FOR THOSE HOT SUMMER DAYS. SPRAY IN BED-LINER- TOW PACKAGE. A GREAT ONE OWNER, FLEET MAINTAINED 2013 FORD F-150 PICKUP TRUCK READY TO GO!!! MANY GREAT VANS AND TRUCKS IN STOCK!! !